Here you can find our service packages for easy planning and installation. 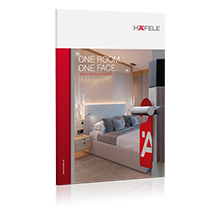 The certified hotel room door from Häfele provides hotel guests and hoteliers with security and outstanding soundproofing. It prevents forcible entry and cuts out exterior noise. Glass doors provide transparency and brightness – and are ideal for individual furnishing and design solutions in the project area. Modular and easy to retrofit. 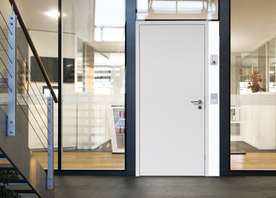 The secure door is suitable as an access door for individual commercial rental properties or residential units. It is installed as a basic element and can be extended in a modular way in accordance with the individual requirements of the tenants. 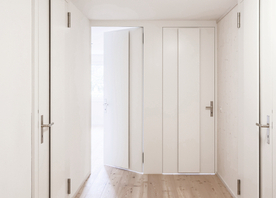 This glass door is self-closing and is therefore particularly suitable for small rooms. 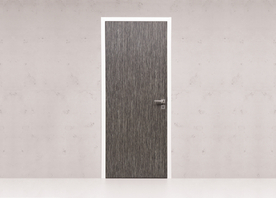 The fitting made from anodized stainless steel, the so-called "rising door hinge", features a worm thread which automatically closes the door mechanically. 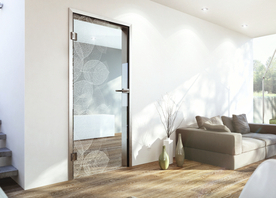 The interior door is characterised by intelligent technology and unobtrusive appearance. 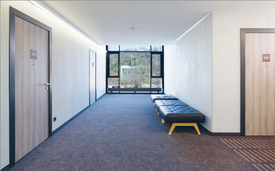 Its flush-fitting appearance makes it particularly suitable for modern, sophisticated apartment construction. 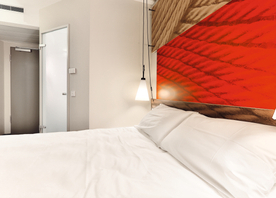 The connector fan door is a type of fan that actively and quietly exchanges the air in closed rooms with fresh air, e.g. from the corridor. 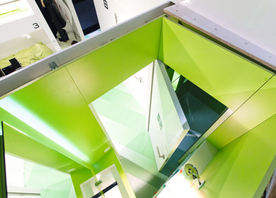 The double-usage door consists of one door leaf and two door frames, which provide flexible partitioning.